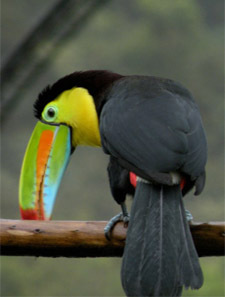 As the bridge between North America and South American, Costa Rica has wildlife species from both hemispheres. Your heart will take flight. 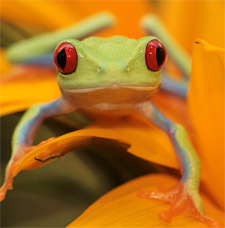 Costa Rica is unusually blessed by its extraordinary diversity of flora and fauna, 4% of the world's total species! 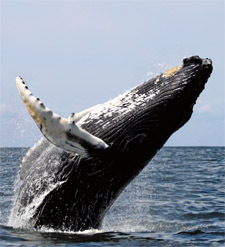 To see such biodiversity first hand is nothing short of awe-inspiring! 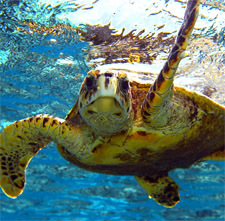 But like other places around the world, Costa Rica's is struggling to sustain populations of endangered species. Wildlife is disappearing. For example, illegal hunting is badly decimating the last remaining jaguars on the Osa Peninsula. Let it grow. 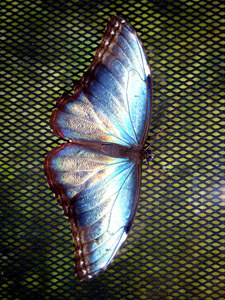 Costa Rica is famous for its luxurious rainforests. However a lot of primary forest has been lost to agriculture or development. Efforts to restore those areas are helping keep Costa Rica green. Secondary rainforests grow very well and, if allowed to flourish, can expand habitat and build vital corridors for wildlife. Costa Rica has other important natural habitats include mountain cloud forests, mangrove swamps and precious stretches of Central American dry forests, found only the Northwest. In all, botanists have identified over 10,000 species of vascular plants in Costa Rica. That includes more than 2000 tree species and a mind-blowing 1400+ species of orchids!